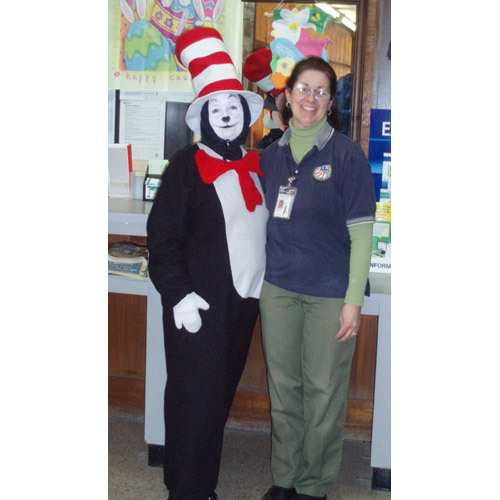 The Cat in the Hat (Denny Scott) and Rancocas Postmaster Dorene L. Berry. 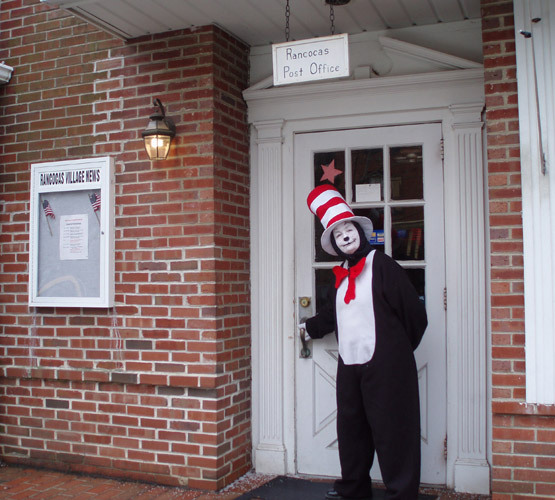 The Cat in the Hat (Denny Scott) in front of the Rancocas, New Jersey Post Office. 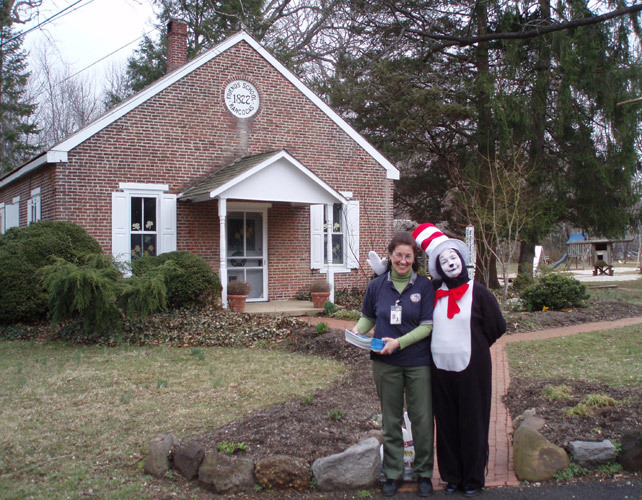 Rancocas Postmaster Dorene L. Berry and The Cat in the Hat (Denny Scott) in front of Rancocas Friends School. 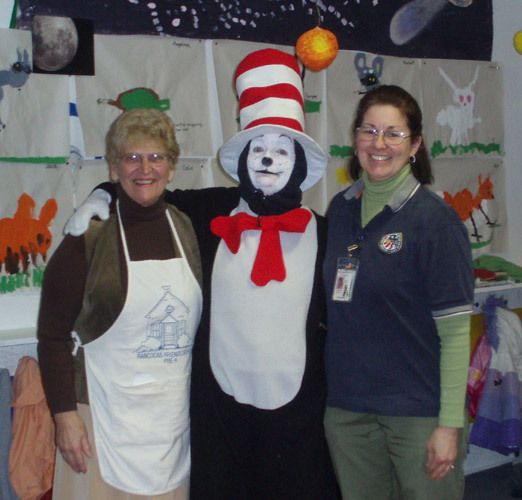 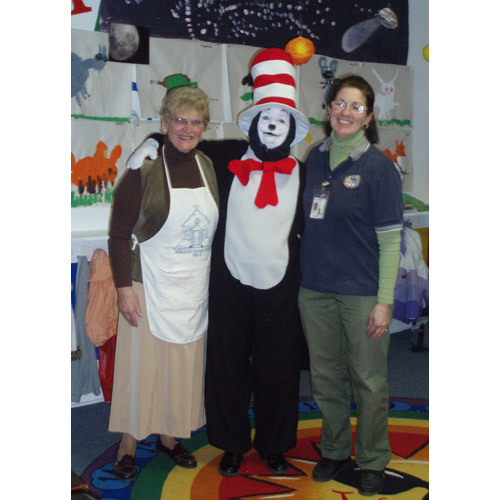 Teacher Nora Dunfee, The Cat in the Hat (Denny Scott) and Postmaster Dorene L. Berry. 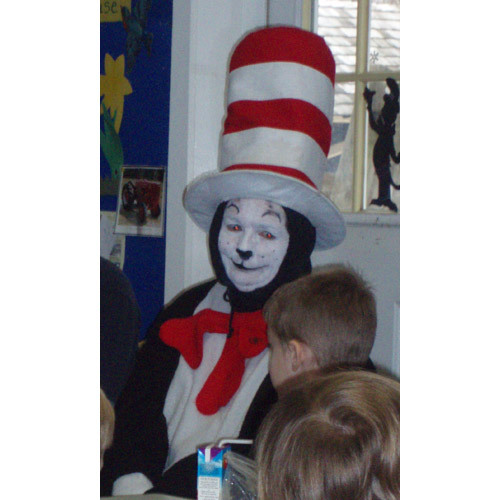 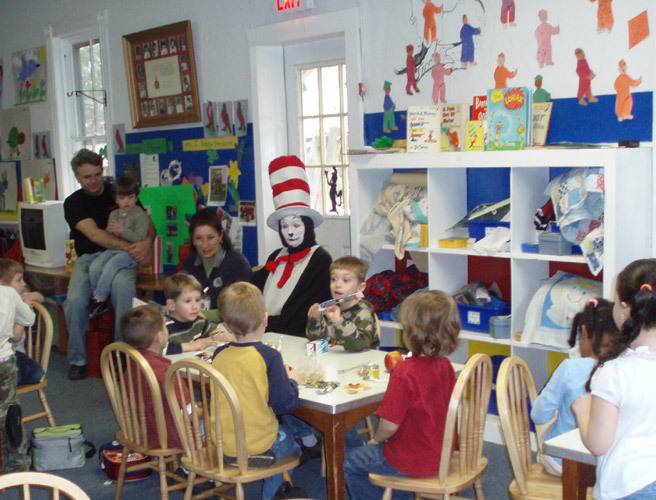 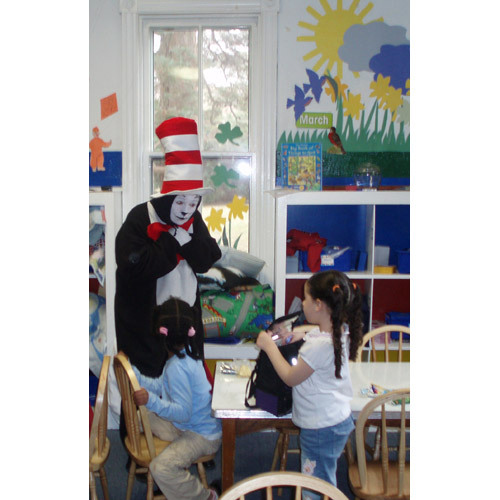 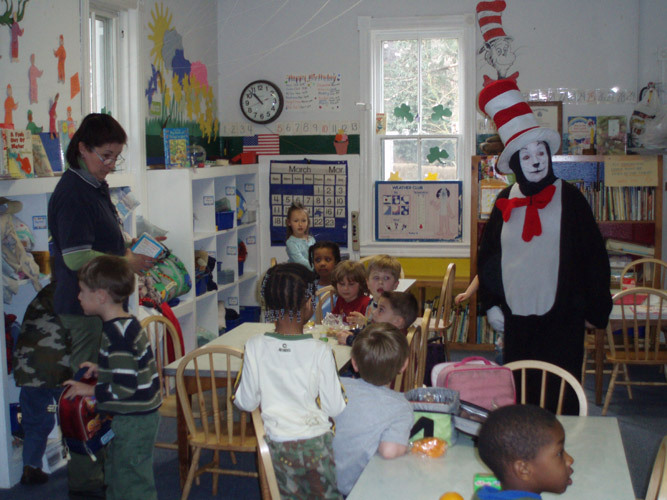 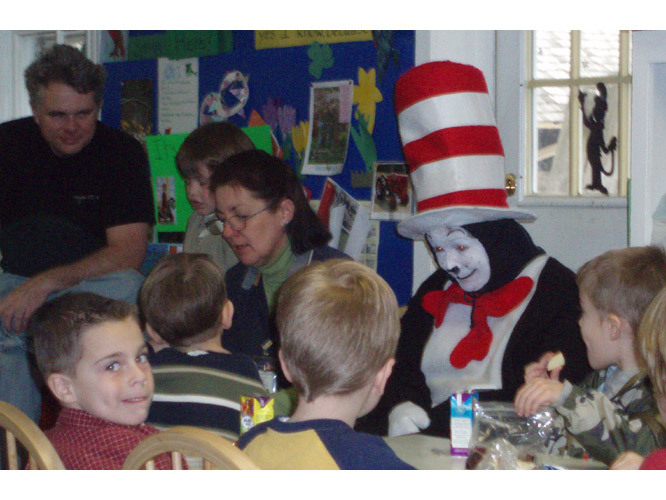 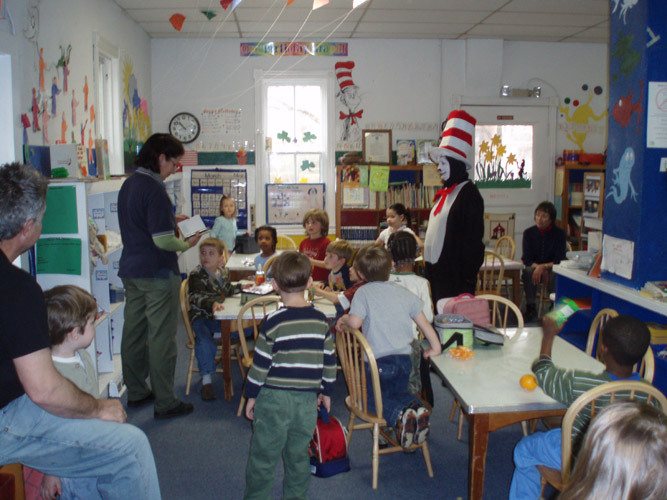 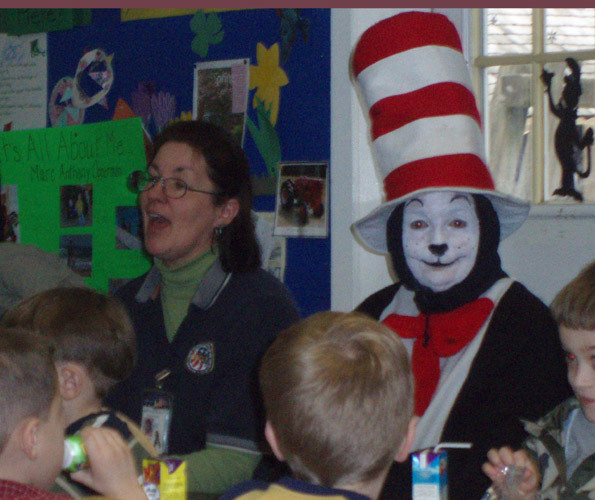 The Cat in the Hat (Denny Scott) visits with the children. 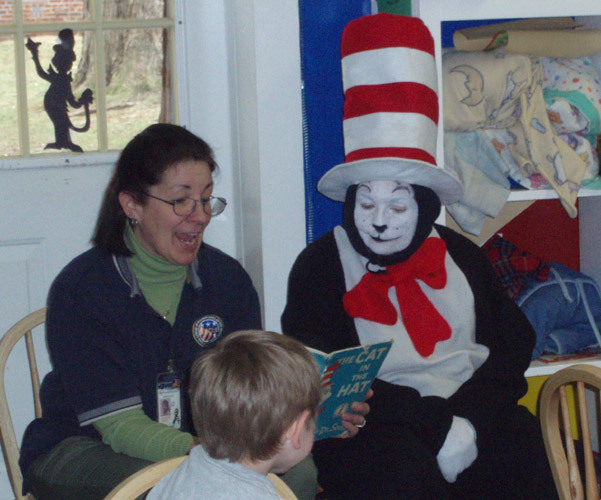 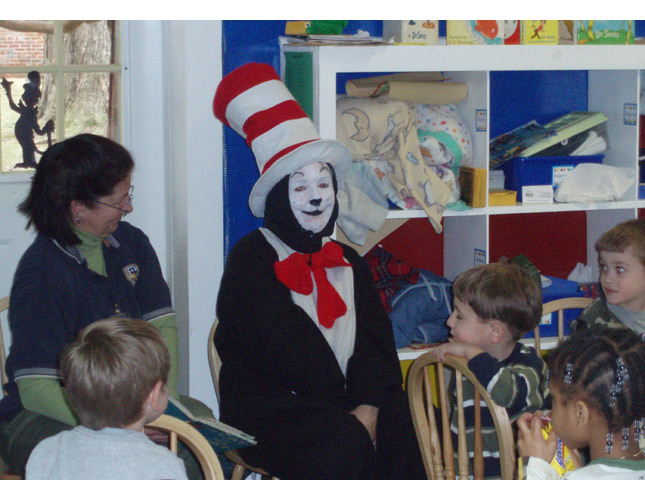 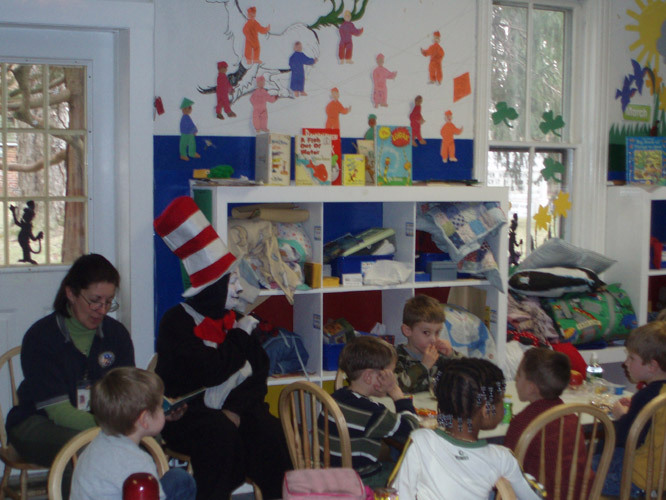 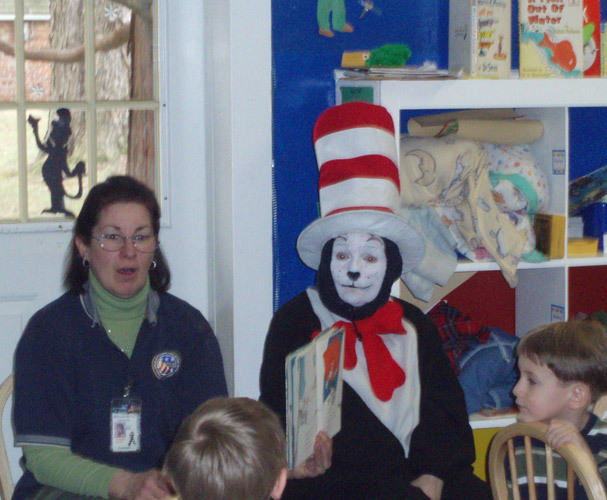 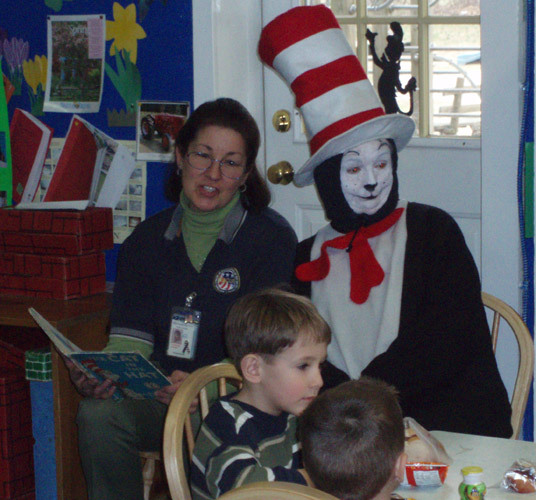 Postmaster Dorene L. Berry reads as the Cat in the Hat (Denny Scott) and the children listen. 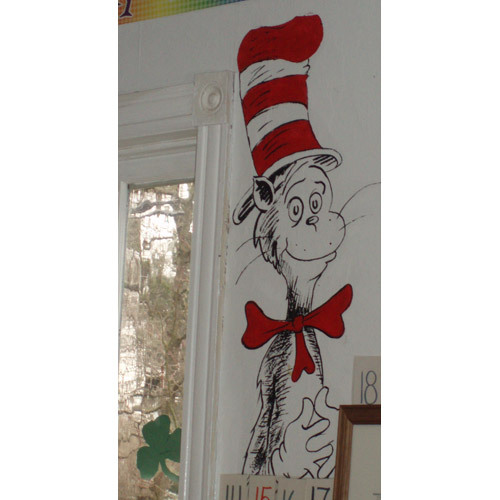 The Cat in the Hat artwork on the wall of the school. 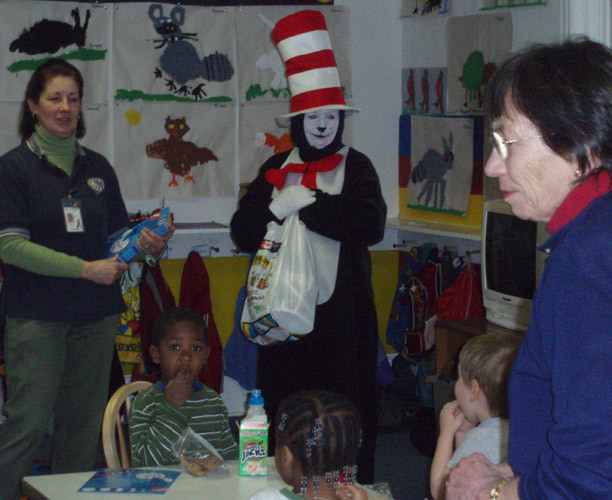 Handing out the goodies (Teacher Missy Bowker on right).